With just under three weeks before the launch of No Man’s Sky—which I personally delayed back in May—a new potential controversy has emerged, this one revolving around a Dutch scientist’s patent. In order to generate the geology of its billions of procedurally generated planets, No Man’s Sky relies upon a mathematical equation called the Superformula that was developed by botanist Johan Gielis. The game’s director, Sean Murray, was open about his use of this Superformula in an interview with The New Yorker last year, but what wasn’t clear until now is that Gielis and his team have actually patented it. It would be great to exchange knowhow with Hello Games. 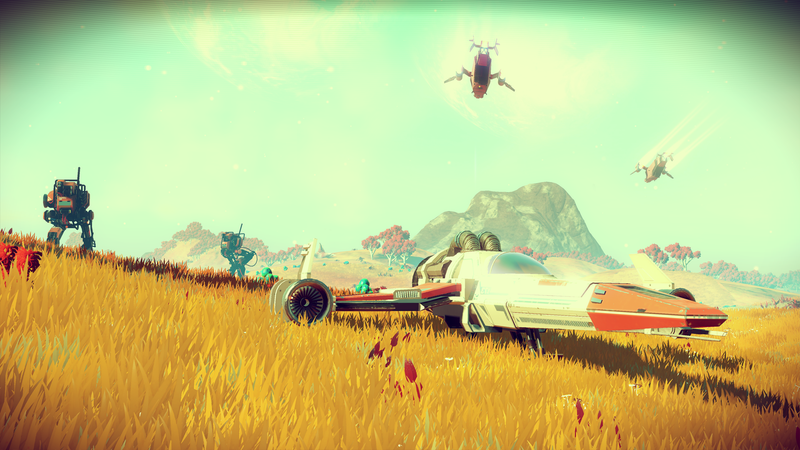 We believe No Man’s Sky is the beginning of a new generation of games. What Hello games did with the formula is very impressive. Johan Gielis, the founder of Genicap and the one who discovered the superformula, is extremely proud. If Hello Games used our technology, at some stage we will have to get to the table. We have reached out to them but understand they have been busy. We trust that we will be able to discuss this in a normal way. It’s not clear whether Gielis would have a solid case against Hello Games, or whether his patent can apply to this particular use of the Superformula, but any sort of legal complications could cause major headaches for the studio behind No Man’s Sky, which is very small. I actually got a tip about the Superformula in early June, and had reached out to both Genicap and Hello Games at the time, but didn’t hear back. The tipster, who did not share his or her real identity, said that Murray was aware of the patent. I’ve reached out to Hello Games again to see if they want to comment.